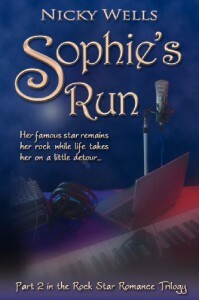 Sophie’s Run is the sequel to Sophie’s Turn (The Rock Star Romance Trilogy). I reviewed Sophie’s Turn in July 2011. Back then, Wells was an indie just breaking into the literary world. Since then, she has signed with American publishers, Sapphire Star Publishing, and I have to say that her writing has gone from strength to strength. Sophie’s Run begins with a prologue. We know Sophie is somewhere new and she is alone. Part One finds Sophie bumping into ex-fiancee Tim on her way to choir. Feeling shaken, the rehearsal passes in a blur. She makes eye contact with her ‘thunder-and-lightening’ man and finds out his name but after the performance she is engulfed by Dan, Rachel and Jordan who jet off via horse and carriage to dine out. After a crisis in her home during her birthday celebrations, Sophie moves in with Dan. Sophie’s building intimacy with Steve felt very real. The subtle things that happen to move Dan away from his alpha male role were very perceptive of the author. I hope we get to know Steve better in the finale of the Rock Star Romance trilogy! I’m pleased to say that the humour is still there as well. The coffee shop scene had me chuckling heartily. This is so funny and something I would do with my own friends. Sophie’s time in Longeoog is my favourite part of the story. I thought it was a very beautiful interlude from Sophie’s London life. I loved the way she became involved in the community and her friendship with Greetje gave the story added depth. The key scenes that happen here feel so right. Sophie’s Run is more than a light-hearted read. Full of emotion, drama, turmoil and love – with characters that every reader will identify with, I have a feeling that for me, the trilogy as a whole, will be a keeper series. Wells has found her voice! Although this is a sequel, you can read it as a stand-alone, however, I would recommend you read Sophie’s Turn so that you can savour the full effect! 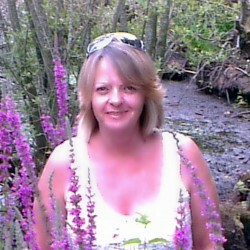 I would like to thank the publishers for providing a Kindle copy in exchange for an honest review.